There are more than 1,700 recognized subdivisions in the Tallahassee MSA, ranging from a single home to those that have several thousand. Are you curious about where the most homes are selling? 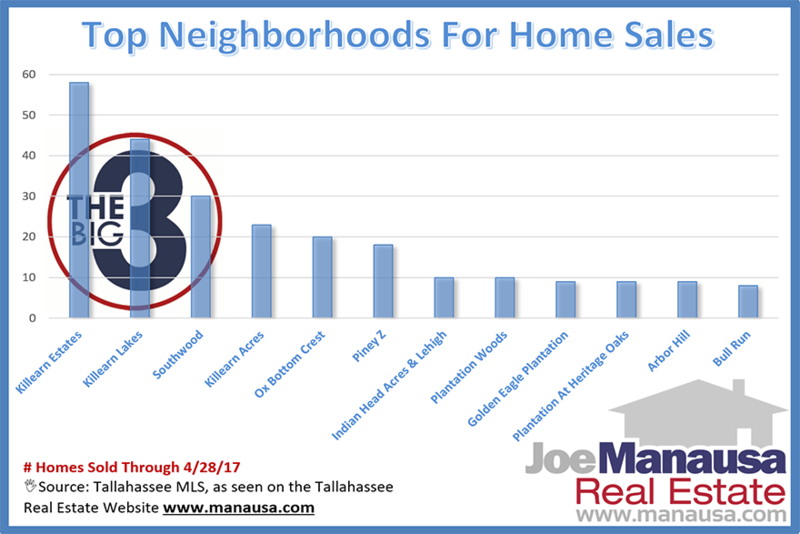 Take a look at the real estate graph below and you will see the top 12 neighborhoods in Tallahassee (based upon the number of homes sold thus far in 2017). Please note that this graph was produced on 4/28/2017 (in case you are reading this at a later date). If you are interested in a map of the top Tallahassee neighborhoods, you can find one here. When we look at recent home sales, Killearn Estates, Killearn Lakes and Southwood always find themselves at the top of the results. But this year, Southwood appears to be falling back from what is normally a three horse race. Notice how Killearn Estates has nearly double the number of homes sold as Southwood (this is not something we've seen occur over the past ten years). Ox Bottom Crest is a new arrival to this list, and is selling very well for a new construction neighborhood (see all new homes for sale here). With 20 closed sales in 2017 and we're not done recording sales in April, expect to see more from this (now) top Tallahassee neighborhood. Another neighborhood that typically appears among the top five is Golden Eagle Plantation. It's current position of #9 is not entirely surprising, as Golden Eagle had a strong year in 2016 (best year since 2005) so it would be natural to see a slight recovery this year. 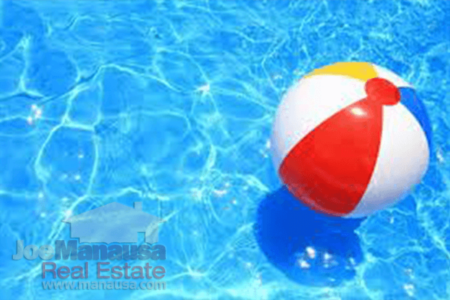 This is the time of year where we typically see the most buyers out searching to buy a home. This year, inventory levels are at 20+ year lows so if you are one of the buyers out there, make sure you arm yourself with the best real estate buyer's agent you can hire. The difference in negotiation skills and market knowledge will likely be worth tens of thousands of dollars to you when you purchase. 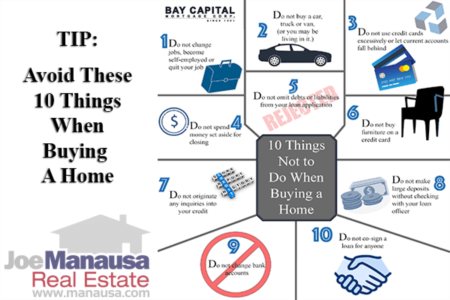 If you'd like to get started on the exciting home buying process, simply drop us a note and we'll be in touch right away.